sincere thanks for a superb and efficient service. My mother would have been delighted as we all were. detail and compassion which was impeccable. 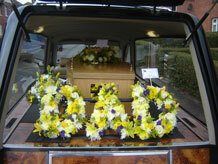 Carrying on the family tradition is a way of life for many independent funeral directors. 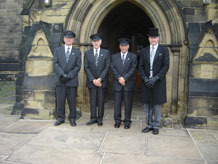 The independent funeral profession has a long and proud history of personal service to local communities. Carrying on the family tradition is a way of life for many independent funeral directors. They are deeply committed to upholding professional standards. 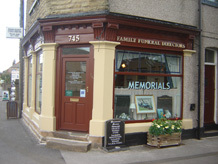 Some of the oldest, continuously operated funeral directors in Britain are locally owned family firms. In all forms of business today there are big international companies that have made their profits through taking over small firms. 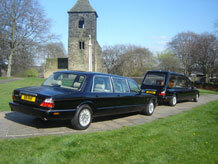 The funeral profession is no exception. The giants have swallowed up many businesses. The trouble is there usually isn't any change of name to tell you the difference. That makes it hard for you to distinguish between the family owned firm and the conglomerate. Without asking, you might never know if the owners your family has trusted over the years continue to make the decisions, which will affect the service you receive when you need to make funeral arrangements. It is important that you know who you are speaking to – an independent funeral director or just one of the branches of a vast conglomerate. 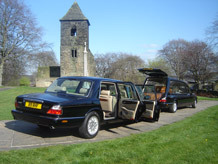 When you need the services of a funeral director, you should turn to the firm which has an investment in your community, established over many years. All our attention is concentrated on satisfying the needs of our friends and neighbours. We are not distracted or bound by corporate rules handed down from head office and shareholders. We are flexible and responsive to your needs. This is our business. Our Neighbourhood is your neighbourhood. 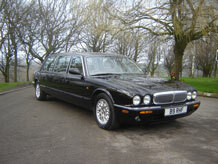 We take pride in our funeral home and our vehicles. We are also proud of our staff, for whom we maintain a regular training programme to make sure of the highest level of professional service. Not only do we want to meet your current needs, we also seek to build a relationship of trust, so that you will return to us in the future. We have a long-term commitment to our community. This is where we live and work. It’s where we plan to stay. When you need us, we’ll be here. Large concerns answer to shareholders. We answer to you. In our locally owned firm there is no pressure from head office to increase profits. We know our business will do well when we serve you well. 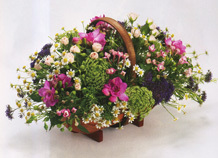 Funeral traditions vary greatly around the country. We know and appreciate local customs and expectations, because we have served in this community for years. On the other hand, the staff and management assigned to a funeral home from a national company may be from another area. Ignorance of local traditions might cause disappointment when expectations are not met. A personal relationship ~ we are part of your Community. Treat us as family. We will always be here when you need us. When your family suffers the loss of a loved one, it can be comforting to know your funeral director. We make every effort to be involved in our community and to create the kind of personal relationship which leads to an individual and sensitive service. If you are like most people, you find it’s easier to deal with people you know. You like the flexibility and personal service. We feel the same way. 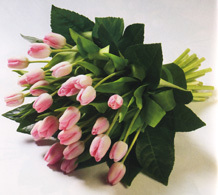 The more you are aware of local independent family funeral homes, the more you will come to appreciate the difference. 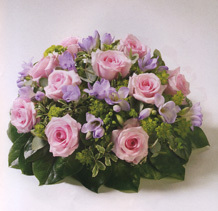 Whether you need our advise when choosing a pre-paid funeral plan or information of the choice of funeral services available and costs, we fully understand the sensitivity of such enquiries and that time is required for decisions to be made. So if you would like a friendly chat with no pressure or obligation please call. Especially if you need immediate assistance at the time of a death, remember we are here to serve you 24 hours a day, every day of the year. After all, we are part of your community. 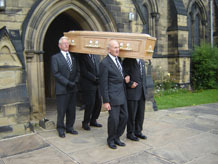 Some 55% of funerals throughout the country are arranged by independents. 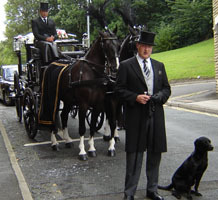 We are proud and privileged that an independent family owned and managed funeral director was chosen to carry out the funeral of Diana, Princess of Wales and other members of the Royal family. Personal pride. Devoted to families, not profits. Knowledge of local traditions. An investment in the community. We will always be here when you need us.